I belong to a Catholic women's book club that has been meeting once a month for several years now. We have read some classics and some definitely not classics. We have read fiction and non-fiction. 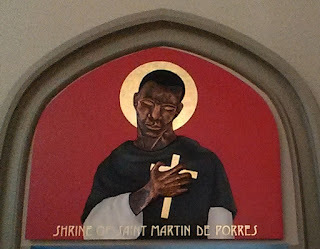 We try to stay pretty close to something that resembles a Catholic book, whether because the author or subject is Catholic (or at least Christian), or because it is about a topic that might bear on a Catholic life, for instance one month we read More or Less: Choosing a Life of Excessive Generosity. Occasionally, we don't come close to any of this. I've been thinking that I might start reviewing some of the books we read, and I'm also going to try to read at least one more book by the same author. The first book I want to talk about is All the Light We Cannot See by Anthony Doerr, which was the book club selection, and then About Grace, which was Doerr's first novel. You may recognize the name of All the Light We Cannot See, because it was a Pulitzer Prize winner. This in itself is not enough to make me want to read a book, though, and I didn't know it was a Pulitzer Prize winner when we selected it. I had heard about it somewhere--I have no idea where! Then one of the members said she had read it and recommended it, so I immediately agreed. The way we choose books is that people suggest different things and we talk a lot and decide on something definitely and then somebody suggests something else and we're off to the races again. It's a miracle that any book ever gets chosen. This may be why it's a women's book club. I can't imagine men putting up with this for very long. 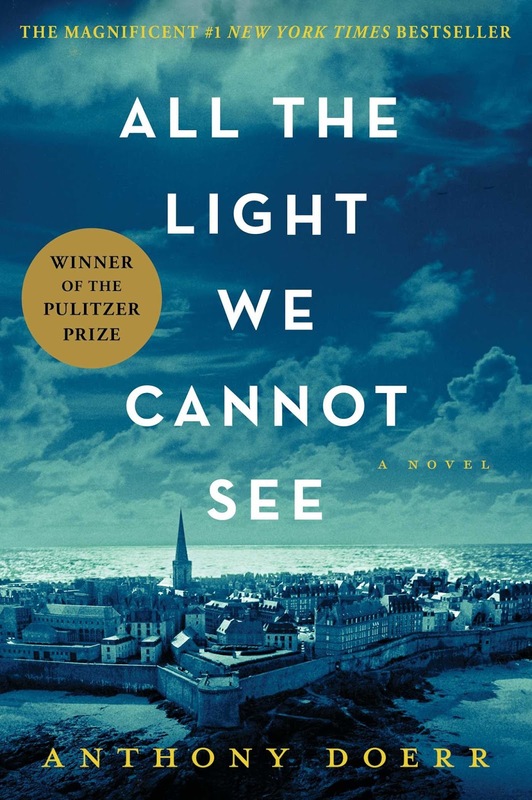 All the Light We Cannot See begins with Chapter 0, in which we read about the bombing of St. Malo in France, and we meet for the first time the two young people whose lives the book chronicles. Even at this point, as Doerr describes the activity preceding the bombing and the "Queen," the large anti-aircraft gun that is waiting for the Allied bombers, we begin to be drawn in by the author's imagination and his ability to draw us into his vision as he describes the (fictional) Hotel of Bees, where the young boy, Werner, and the Germans are stationed, and the miniature model of the city in the home of the young blind girl, Marie-Laure. This bombing takes place near the chronological end of the story with most of the rest of the book telling the story of the children's childhoods and adolescence. Werner and Marie-Laure live very different lives. Werner and his sister, Jutta, live in an orphange in an old house in a German mining town which is run by a religious sister. They are very poor and Werner scrounges for the things the children need. One day he finds, and subsequently repairs, an old radio, which opens up the childrens' lives to the world, and which is the beginning of a lifelong passion for Werner. It also becomes the door through which Werner is able to receive an education equal to his capabilites, but unfortunately this education takes place in a school for exceptional Nazi children. His story is sometimes painfully brutal, but not without occasional glimpses of light. Marie-Laure, who is motherless and blind, nevertheless leads a rather enchanted life in the museum with her father. She is fascinated by natural science and uses her remaining senses to explore that world. Her father Daniel does all he can to teach Marie-Laure all she needs to live in her dark world: both the practical everyday world, and world of wonder. Piece by piece, he contructs a wooden model of the town where they live, each building with a secret that makes it a little mystery in itself. Behind this door is another locked door slightly smaller. A third locked door, smaller yet. A fourth door, and a fifth, on and on until you reach a thirteenth, a little locked door no bigger than a shoe. Behind the 13th door … is the Sea of Flames. The guide then proceeds to tell the story of the Sea of Flames, "...a brilliant blue, the blue of tropical seas but it had a touch of red in its center like flames inside a drop of water." As with all stories of large, beautiful diamonds. it is a story cloaked in mystery and woe. Anthony Doerr writes beautifully and this novel is shot through with grace and light. He has a gift for description, and his images will stay with the reader long after the book is finished. I want to stress that the novel is not about magical realism. The mysterious story of the Sea of Flame is woven through the novel, but it is much more about the way that people react to the stone, than the power of the stone itself. There is one flaw in All the Light We Cannot See, and that is that Doerr reaches the end of the book, and then keeps on writing. The part of the book that comes after the real and satisfying end of the story seems rather deflated. Still, that is no reason to keep from reading the rest, which is wonderful. I hesitate to even mention this because I'm afraid it will discourage you from reading the book, which would be very sad. I just treat the end of the book as a tedious addendum that I don't have to pay too much attention too. I wrote the first three paragraphs of this a long time ago--maybe April of last year. I hope to write about About Grace, Doerr's first novel, very soon, maybe tonight, but I wanted to go ahead and get this out there since it has been sitting for so long. Maybe you should just let well enough alone.